You may have seen Missy at a sewing event somewhere around the country or perhaps on television or online. 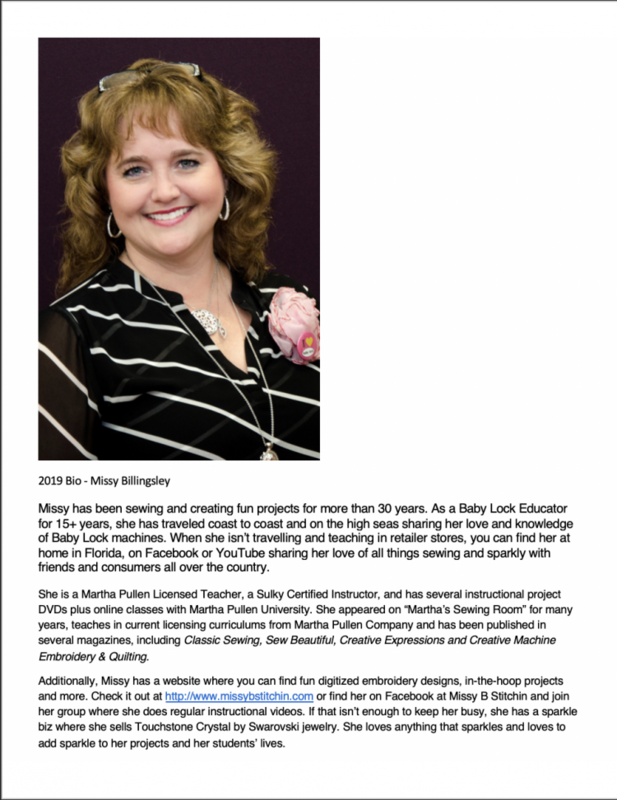 She travels the country teaching classes on sewing, serging, embroidery, and software for Baby Lock USA. 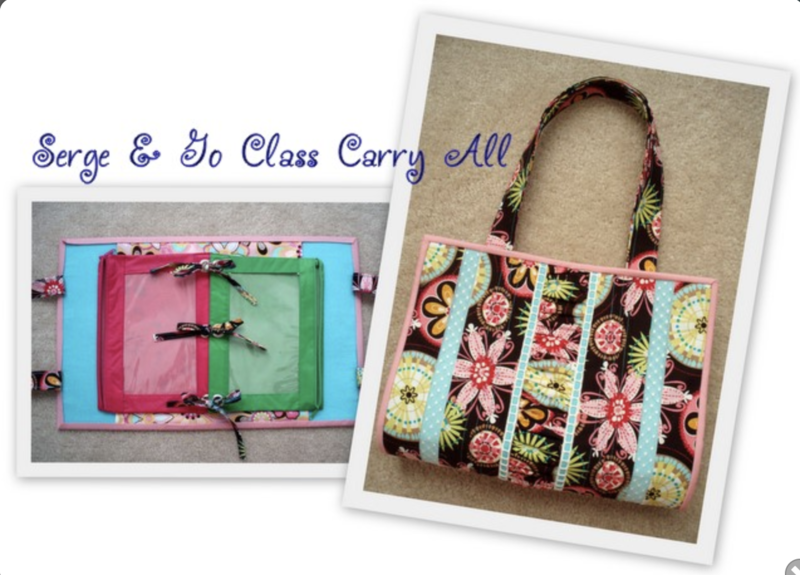 This popular educator will be at Sew Right sharing her expertise with a serger trunk show on Friday and a ALL DAY hands-on class with the "Serge and Go Class Carry All" on Saturday.